Jarron Grubb captured the HHC Conference Championship in the 145 pound class and Austen Martinez captured the Conference title at 182 pounds. Great Job Guys!!! Good Luck to all Wrestlers in the Sectional at Elwood on Saturday beginning at 9:00.!!! 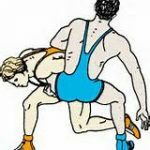 The wrestling meet scheduled with Kokomo on Wednesday, Jan. 11 has been cancelled. Tonight’s wrestling match with Elwood has been moved to Tuesday, January 17th at Elwood at 6:30. Wednesday, December 28, 2016 9:00 AM Tri-Central High School AWAY 30 Westview High School HOME 33 Meet Recap Katie Tentler won by forfeit. Ethan Mason won by fall over Jon Fennel. Corbin Fox won by forfeit. Jarron Grubb lost dec 4-8 to Yoder. Tyler Ables lost by fall to Sharp. Colin Byrd won by forfeit.